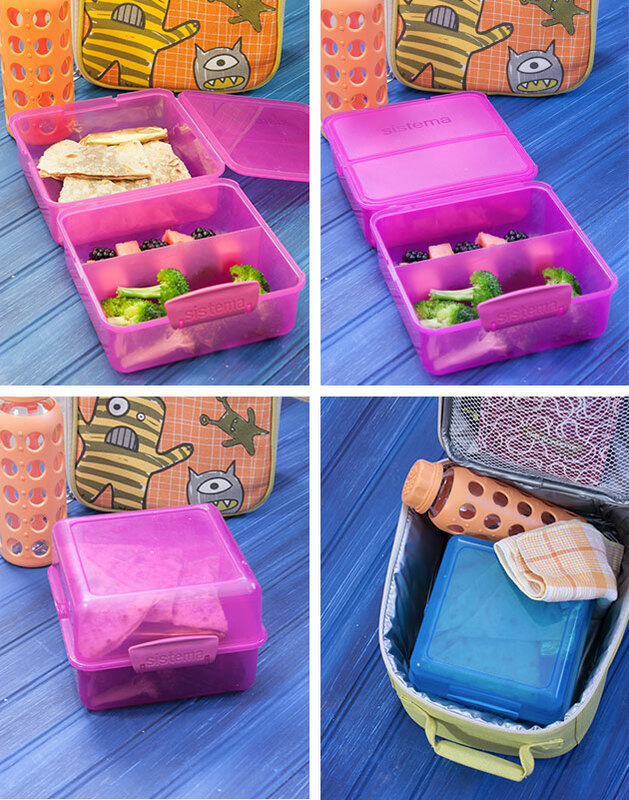 I have to say I admire, and secretly envy, moms with bento box super powers like these. And what about those mamma’s whose kiddos gobble down collard wraps and zucchini kabobs? All hail! I’ll admit, the lunches I pack may not be the envy of the lunch table and could be a tad more nutritionally dense, but I’ve loosened up a bit. Getting it perfect was stressing me out waaaayyy too much. So I’ve cut myself some slack, figuring that I’ve got breakfast and dinner to load my kids up on green smoothies and quality protein. When it comes to lunch, if I can meet these three criteria, I’m good! Lunch will include fresh fruit and vegetables—fresh produce should be a part of every meal. I want my kids to lean that at a young age. Lunch will be eaten. I try to strike a balance between healthy and tasty. What’s the point of packing food the kids won’t eat? I want my kids to be focused and have energy at school, not zoned out in the corner because they didn’t eat lunch … because they didn’t like it. Before summer ends, I sit down with my kids and we make a list of the foods they like for lunch (we are gluten-, dairy-, egg- and nut-free). The list we compiled is taped to the fridge and provides me with quick inspiration when I’m too tired to think. At the top of this list are quesadillas—PB&J, pizza, and turkey. Quesadillas are great finger food and easy to make gluten-free, dairy-free, and egg-free. And when you think outside the box (or the tortilla), you can come up with some pretty tasty variations. Quesadillas start with tortillas. The two brands we use are Food For Life and Rudi’s. Food for Life Brown Rice Tortillas contain minimal ingredients and are thick and stout. 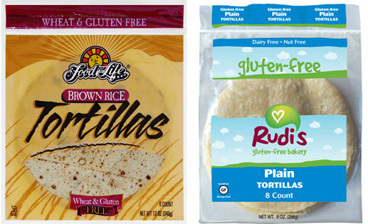 Rudi’s line of tortillas come in three flavors, Plain, Spinach, and Fiesta. They are the closest thing I’ve found to white flour tortillas and work fabulously well for wraps. If you’d like to make your own, here is a tasty recipe. Pizza Quesadillas: Pizza Sauce, Applegate Pepperoni, Black Olives, and Daiya shreds. PB&J Quesadillas: Sunbutter sunflower seed spread and your favorite jam. Turkey Quesadillas: A dab of Veganaise and yellow mustard, Applegate organic roasted turkey breast, and Daiya shreds. Layer filling between two tortillas and heat in skillet with a little oil until tortillas begin to brown and crisp up. Slice into wedges. 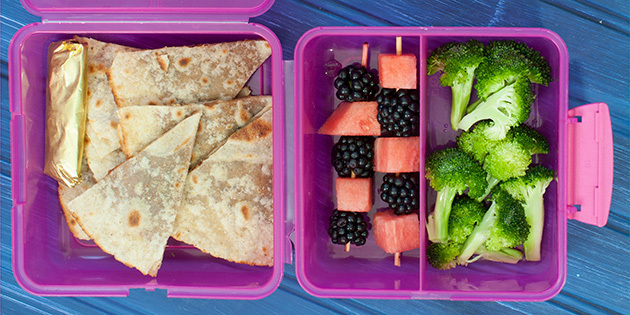 Finally, a lunch packing “system” that works for us. The Sugarbooger Zippee! Lunch Tote line has been a proven winner. It is BPA, phthalate, lead and PVC-free and meets or exceeds U.S., Canadian and European safety standards. They come in a bunch of cute motifs and are priced right. They are insulted to keep food cool and are easily washed by hand or in the washer. A napkin and, of course, a little love note! Those blackberry and water mellon skewers look class!!! 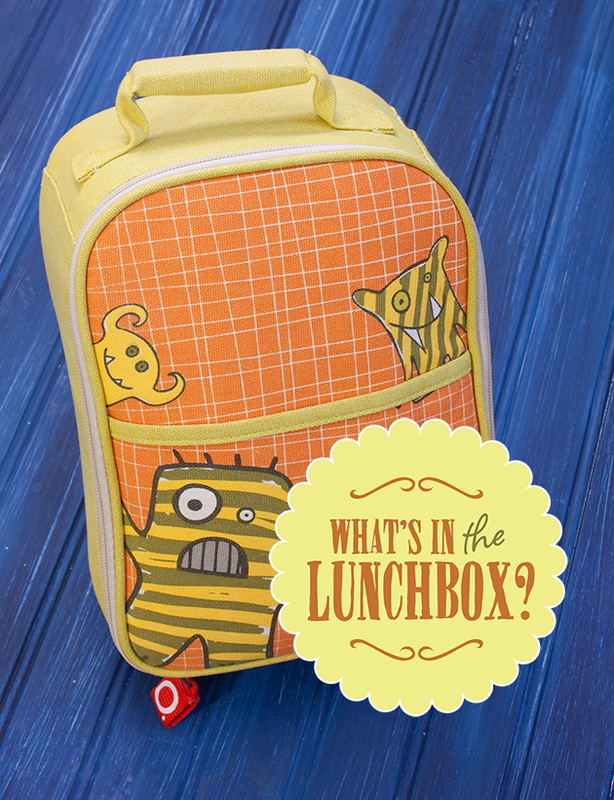 I don't know how a kid could resist that lunch box. Your pictures are beautiful.